# of Pages: 318 p.
Ama, Jo, and Polly are three friends who met in 3rd grade and have drifted a bit over the last few years. In the summer before their freshman year of high school they each take a different journey. Ama reluctantly takes an opportunity to go on a wilderness adventure in which she can earn school credit. In order to get credit, however, she has to survive to the end and rappel off of a mountain. Jo goes to her family’s summer home with her mother and gets a job at a restaurant. Polly decides to go to a modeling clinic. Ama has a difficult time adjusting to her wilderness adventure because she is weak, slow, and seems to get hurt a lot. She thinks about giving up and going home several times, but she doesn’t feel comfortable talking to anyone about her real feelings. Jo realizes that her parents’ marriage is in trouble and makes some bad choices over the summer in order to avoid dealing with it. Polly feels very lonely with no friends and a mother who spends all of her time in her workshop. She responds by putting herself on a strict diet. As the three struggle with their personal problems they all realize how important it is to keep your true friends close. Those who were fans of the original sisterhood books will like this story. The writing style is the same and it is easy to care about these three girls and the struggles they have to deal with over this very important summer. The girls from the traveling pants series are mentioned briefly, but it is not a sequel to those books. Instead, it is a book about friendship with three new girls. These girls are a bit younger than the traveling pants girls, but they will find an audience who cares about them and wants to hear what happens to them after they start high school. 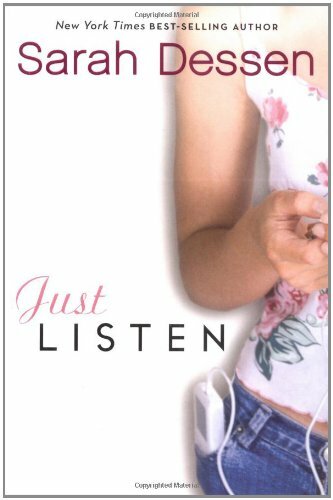 The transition to high school is a time of many changes for young girls and that is illustrated beautifully in this story as each girl struggles with different challenges and finds inner strength she never knew she had. Brashares knows how to write very relatable and interesting teenage girls.